After the brilliant drama in Bahrain last time out, Shanghai is the next stop on the F1 circuit. The Chinese Grand Prix has been a favourite of Lewis Hamilton’s in the past, with the reigning champion winning on five occasions at the Shanghai International Circuit. 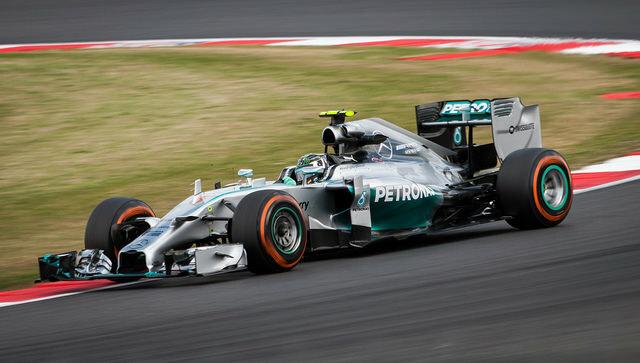 Our F1 expert guides you through the best bets from the upcoming weekend of Grand Prix action. Lewis Hamilton was victorious in the Bahrain Grand Prix, and he has serious form in China. A five-time winner, he will be looking to maintain his strong start to the season. Mercedes also have an excellent record here, winning four in a row until Daniel Ricciardo triumphed here for Red Bull last season. Hamilton finds himself in a tasty rivalry with fellow Mercedes driver Valtteri Bottas this year, and it could very easily be a Mercedes 1-2. However, when Lewis Hamilton likes a track, he normally performs extremely well, and at 11/4 he looks excellent value with Grosvenorsport.com. Charles Leclerc was exceptional in Bahrain before a late engine problem scuppered his chances of a maiden Grand Prix victory. He has been unphased by the step up in driving for the ‘Prancing Horse’ alongside Sebastian Vettel, and the Frenchman has great command of this year’s car. While his talent could lead to an uncomfortable relationship with Vettel as the season progresses, Leclerc has every opportunity to excel this year. He enters as favourite for this race, and is just 1/5 to finish on the podium. The 21-year-old has a great chance to land his first Grand Prix win, and is 6/4 to do so. Whilst his compatriot Pierre Gasly has had a distinctly average start to the season, Red Bull’s Max Verstappen has a podium and a fourth-placed finish to his name. The young Dutchman has matured this season, and Red Bull did win in Shanghai last year. They are also desperate to kick-start their season and break the stranglehold Ferrari and Mercedes currently have, and this could be their chance. At just 5/4 to finish on the podium, Verstappen will be confident of a good race. It would be an upset if he were to win here, but 12/1 represents good enough value for an outside punt. I expect to see the Dutchman on the podium at the very least.